50 Cent explains why he thinks "4:44" is golf course music. 50 Cent's never been one to hold his tongue for anyone. His commentary, on whatever the subject may be, might get him in trouble but it often ends up being a hilarious moment for the internet. After Jay-Z dropped his critically acclaimed 4:44 album in the summer, 50 Cent gave a brief review of the album, calling it "golf course music." While doing a press run to promote his upcoming movie Den Of Thieves, the rapper elaborated on his comments on Hov's album. 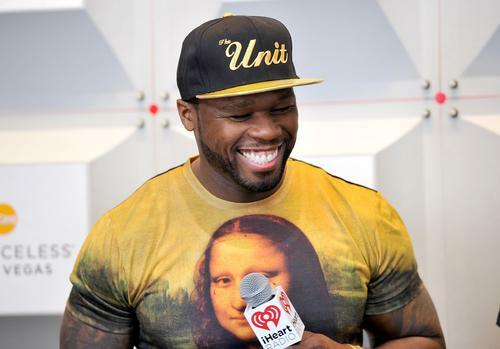 50 Cent recently hit Conan O'Brien to promote his upcoming film and during his time of the show, he was asked about his comments pertaining to Jay-Z's most recent album. Hip hop is undeniably a culture of youth and 50 Cent believes Jay's maturity bled into his content. He explains that it's an album he'll listen to as a grown man but he doesn't see a lot of kids bumping it to the same extent. "Hip hop culture is connected to youth culture," he said, "The kids gon' bring new, innovative stuff. He just had the maturity bled off into the material. It's cool for me, like in my car, I'm listening to it but the kids, I don't see them actually listening to it." He later joked that Jay-Z was kind of "talking down" to the listeners on the album. After admitting that he never actually said this to Jay personally, he continued to elaborate on his "golf course music" comments. "I felt like Carlton Banks like when I was listening to it," he said.